WORCESTER, Mass. – Milford head coach Paul Seaver had a simple diagnosis of what went wrong against top-seeded Marlboro on Tuesday night. 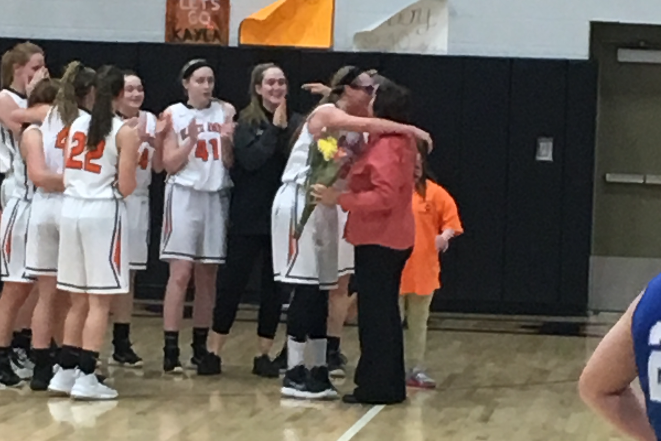 Seaver’s diagnosis was backed up by the numbers as the Hawks shot just 28% from the field (and under 20% from the three-point range) while Marlboro hit nearly half of its shots, picking up a 67-41 win in the D2 Central Semifinals. For the first four minutes of the game, it looked like Milford would be in good shape on both ends of the court. The Hawks hit on five of their first seven shots — two from junior Brendan White — and one of the misses was converted with an offensive putback, rattling off an 11-3 run. But on Marlboro’s ensuing trip up the court, Milford senior Kayden Kelley (eight points, five rebounds, three assists) picked up his second foul with 3:33 to go in the first. And just 30 seconds later, senior Andrew Fraioli was called for his second, sending both of Milford’s big men to the bench. Marlboro took advantage, finishing the last three minutes with an 8-2 run, including a late three that gave the Panthers a 14-13 edge after one. Brendon Sailer gave the Hawks a boost off the bench, hitting back-to-back 18-foot jumpers, each one putting Milford up by a point. Sailor’s second jumper came with 7:06 left in the second quarter. Unfortunately, the Hawks didn’t score again in the quarter until 1:53 to go. In that span, the Hawks went 0-for-8 from the floor, having two of their four three-point shots go halfway down only to rim out. Another two chances were swatted by Marlboro star Chris Doherty (24 points, 13 rebounds). On the other hand, the Panthers’ offense was finding success, getting a couple of kind rolls in the process. 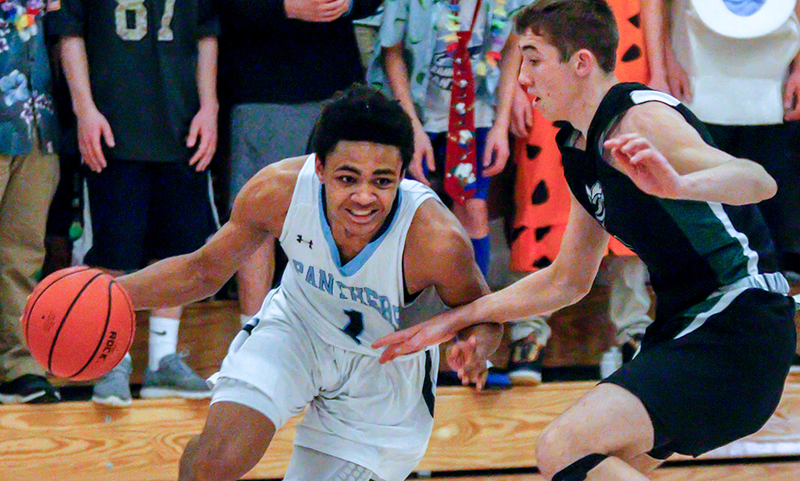 The 15-0 run included two offensive putbacks, a pair of three-pointers – one each from Alex Santos (12 points) and Jordan Oliveira (nine points) and a traditional three-point play from Doherty. And to make matters worse, Marlboro sank a three at the halftime buzzer although it looked like the shot was still in the shooters’ hands when the buzzer sounded. Similar to the first half, the Hawks came out and connected on their first three-point attempt after the break when Shane Cosquete hit nothing but net. But a cold spell hit the Hawks again. “I think when we didn’t hit shots we started to get frustrated and that kind of turned into what the final score indicates,” Seaver said. Milford missed their next three shots and had a pair of turnovers before Sailor found the bottom of the net for two. And on the other end, the Hawks’ defense was still playing well, limiting the Panthers to 10 points while both Fraioli and White had blocks. But the Panthers came to life over the final two minutes of the third. Marlboro dropped 11 points over the final 2:27, including a pair of threes and a pair of transition buckets. “They play a zone…they played it all year, they played it tonight…you have to hit your shots against the zone,” Seaver said. Marlboro led 55-31 after three. 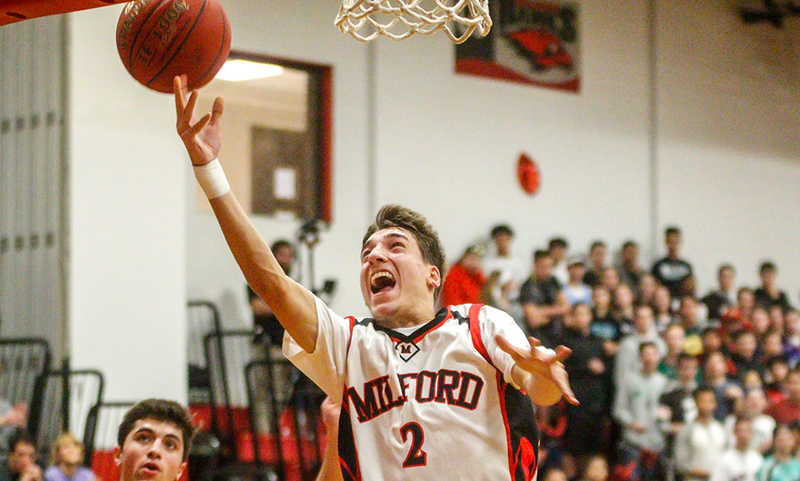 Zach Tammaro (nine points) hit an early three in the fourth to cut it to 19, and connected on another triple with three minutes to go but Milford wouldn’t get within striking distance. The Hawks lose seven players to graduation, including Kelley – a four-year player. Milford boys basketball finishes the season 13-9. MILFORD, Mass. — Every team talks about playing its best basketball when the playoffs roll around. The Milford boys basketball team is accomplishing just that. The Hawks dominated the second half, allowing just three points in the fourth quarter to earn a 46-31 win over Dedham in the Scarlet Hawk Classic Championship. It marked Milford’s sixth straight win to close the regular season. Beyond allowing just three points in the fourth, the Hawks allowed a total of just nine points in the entire second half. Points were at a premium in the first half. A late putback in the final minute from Milford senior Andrew Fraioli (nine points, eight rebounds) had the Hawks ahead 10-8 after eight minutes of play. Neither offense got in gear in the second quarter either. The teams went back and forth, having ties at 10, 12, 14, 16, 18 and 20. Junior Brendan White (10 rebounds) scored six of his game-high 13 points in the quarter while both Shane Cosquete (12 points) and Fraioli each had two to keep pace with the Marauders. Dedham’s Brian Tavares hit a midrange floater late to give the visitors a 22-20 lead at halftime. Dedham extended its lead to 26-22 at the midway point of the third quarter, but the Hawks finally got the momentum boost it needed. 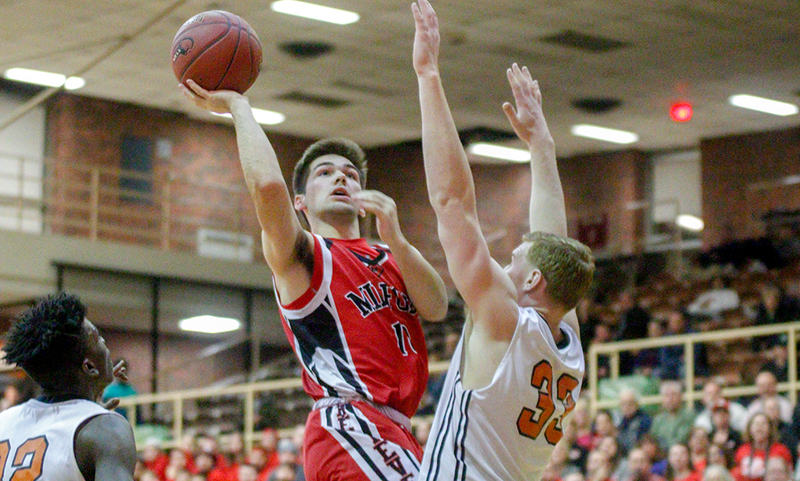 Senior Zach Tamarro took a feed from Cosquete and drained a three, Milford’s first triple since senior Matt Nickerson hit one early in the first quarter. That three sparked what turned into a 10-2 run for the Hawks over the final 3:16 of the third quarter. Kayden Kelley (13 rebounds) grabbed an offensive rebound and converted a putback to give Milford a 27-26 lead. Two possessions later, after Dedham regained the lead, Tammaro made the extra pass to White for a three-pointer. White scored on a nice cut to the basket, giving Milford a 32-28 edge heading into the fourth. Free throws from Cosquete and Fraioli were answered by two free throws from Dedham’s Michael Mansour. Holding a 36-30 lead with five minutes to play, the Hawks put the game to bed with a 10-1 run to end the game. Tamarro dropped in a floater after a nice shot fake, Cosquete drained a three right before the shot clock buzzer and Fraioli scored down low on a feed from Cosquete. Cosquete put an exclamation point on the win with another triple late in the shot clock. Milford boys basketball (12-8) will now await the tournament seeds, which will be released on Friday. The Hawks could be the third, fourth, or fifth seed based on results posted online. Milford will likely be in a tiebreaker with Grafton and Medfield, with names drawn out of a hat to break the tie. If the Hawks get the third or fourth seed, they will have a home game. The win over Dedham secured the Hawks would be in the three-way tiebreaker. 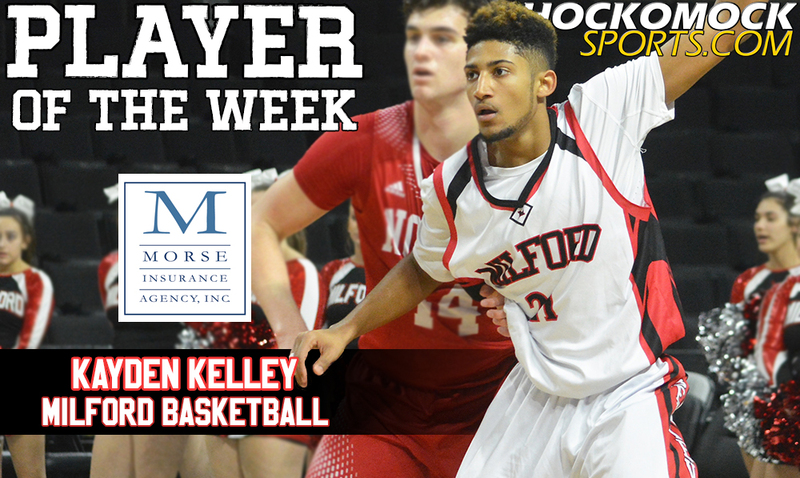 Milford senior Kayden Kelley has been selected as the HockomockSports.com Player of the Week, presented by Morse Insurance, for Jan. 14 through Jan. 20. Kelley is the 16th player selected for the 2017-18 school year and sixth player chosen during the winter season. Kelley, a senior forward, recorded three double-doubles this week to help the Hawks win three games and move above .500 on the season (one of the losses is an exclusion game). Two of the wins came in the league, as Milford jumped into third place in the Davenport division. Thanks to a 3-0 week, Milford is now 6-5 overall and 4-4 in the league. 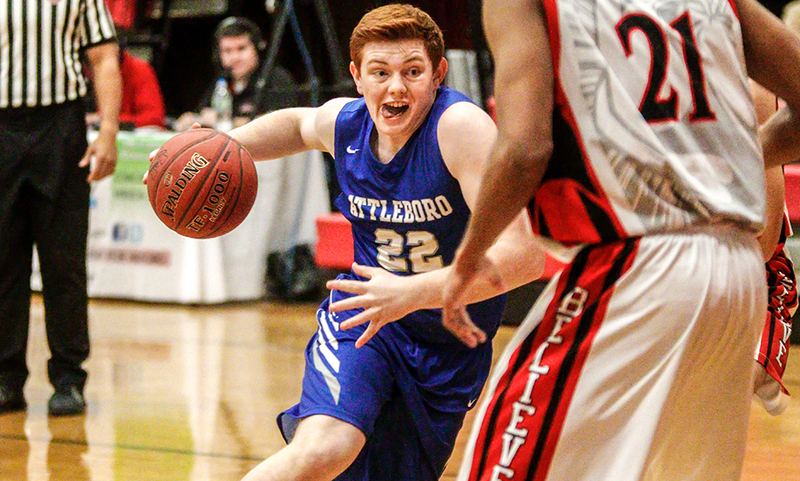 The week started with 10 points and 13 rebounds against North Attleboro, as the Hawks went on the road to earn an important league win. On Friday, Kelley scored 13 and pulled down 14 boards in a win against Sharon and he capped the week on Saturday night with 12 points and 14 rebounds against neighboring Hopedale. Kelley is averaging 10.5 points per game and now has seven double-doubles this season.